By the time Tucson became the first “City of Food Cultures” in the United States to be designated by UNESCO, hadn’t the heritage area initiative become like a river drying up in the sand? Not really. Like most desert rivers, its energy just went underground for a while. Since 2003, institutions, non-profits and for-profits had gained consensus on what they deemed the most unique assets of our region. By 2009, the Santa Cruz Valley Heritage Alliance had brought together hundreds of entrepreneurs to discuss the best ways to promote as well as safeguard the distinctive products and experiences of the watershed. The alliance published a heritage food directory. It sponsored workshops that brought food producers together with chefs, food writers and tourism planners to restore our agricultural economy. Many of these producers were later featured in this newspaper and in Edible Baja Arizona magazine. Further encouraged by the Tucson City of Gastronomy initiative, producers of foods and beverages in the watershed found ready markets and made alliances across the urban-rural divide. And so, how can the Santa Cruz National Heritage Area bring our communities together? In addition to promoting ecotourism in our region, we are likely to see the designation inspire more institutions to create jobs that will help solve the problems of environmental degradation and poverty that have plagued border counties for decades. Among these pressing issues are restoring the Santa Cruz River and Sonoita Creek, renovating our neglected historic buildings, better managing mesquite and other native flora to create unique products and jobs, and reducing the impacts of food waste and of mine contamination. We can learn how to fund such tasks through exchanges with 54 other heritage areas. And we are likely to see more private investment in locally owned enterprises whose values are harmonious with promoting our unique heritage. Innovative programs have emerged that are making a difference on the ground. Among them are the Mariposa Community Health Center’s Cosecho Bienestar Farmers Market in Nogales, Borderlands Community Alliance in Tubac, Mission Gardens in Tucson, and the Borderlands Restoration Network and Friends of Sonoita Creek in Patagonia. There’s also the University of Arizona’s Center for Regional Food Studies, Southwest Folklife Alliance, Local First Arizona and Community Food Bank of Southern Arizona, all of which work throughout the valley. But of course, the real work must be done by community members like you. Make your voice heard. Volunteer to build check dams and plant trees. Harvest water. Guide others to our iconic places. Eat what our farmers produce. Care for this place. 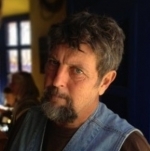 Nabhan is a resident of Patagonia and author of two recent books, “Food from the Radical Center” and “Mesquite.” He has served on the boards of the Santa Cruz Valley Heritage Alliance, Tucson City of Gastronomy and Borderlands Restoration Network, and is a researcher at the University of Arizona.